In Part I of this article the basics of propane usage on the summit and the possible problems with it were discussed. In this part the current status of propane usage in Serene Lakes, the largest community on the summit, is discussed. The data presented here was generated from the propane directory survey project that was performed during the summer of 2011. The physical mapping of each propane installation in Serene Lakes was completed to develop a directory for use by emergency responders when a leak occurs. This project was no small task and proceeded in three phases over the 5 months of summer season. In the first phase, the method of how to organize the survey and present the data in a way that could be used by emergency personnel responding to a leak was devised. The logical systematic organization was to categorize each lot based on its street address. Lots are listed in the directory according to the street and cabin number in ascending order. In the first stage preliminary directory listings of each lot were prepared using the Placer County GIS site and Google Maps. Using the preliminary maps, in the second stage each lot was physically mapped for the location of the tank and secondary regulator. Mapping required a visit to each lot in which the cabin was photographed for use as a reference and the propane system was observed. In the final stage the data was compiled and transferred to plot maps in software and then printed out to make the hard copy directories for use by the emergency agencies. In Figure 1 a typical directory listing is shown. 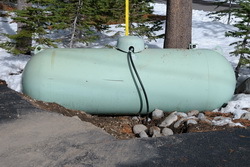 The directory listing is oriented so that an emergency responder can stand at the entrance to a driveway (usually the only access to a lot in winter) and be able to confirm the directory listing using the photograph of the cabin and then locate the tank and secondary regulator. In addition, the type of tank, the propane vendor, an owner contact number and/or email are listed if the information was available. The directory is meant to facilitate the digging out of the tank so that it can be shut off with the minimum escape of propane. Each page in the directory contains 6 listings (front and back) and the pages are inserted into a protective clear plastic sleeve and assembled into a binder. The binders will be given to Truckee Fire for them to keep as a reference in the event of a propane emergency. In order to produce the Propane Directory, the data on Serene Lakes propane installations has been compiled into a database. 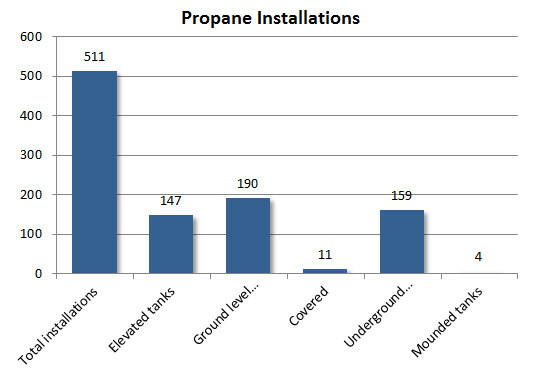 The information in the database represents the current status of propane use in the Serene Lakes community. 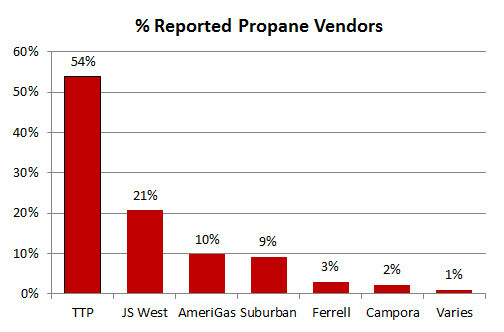 In Figure 2 the general usage of propane for each lot is presented. Approximately two thirds of the cabins in Serene Lakes currently use propane making it the overwhelming fuel source in the community. 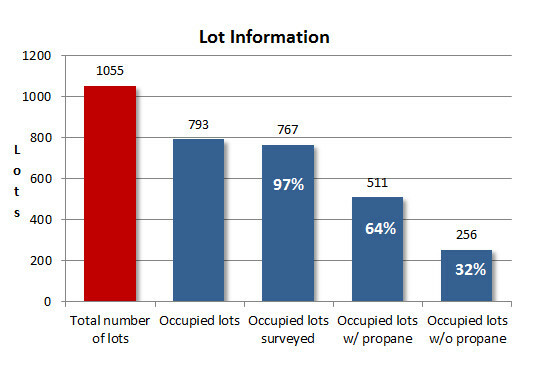 Figure 2: General propane usage by lot. The percentages in white are for only the occupied cabins. The prevalence of propane usage reenforces the need for implementation of safety standards and procedures in the current installations. The types of installations currently in use are shown in Figures 3 & 4. It is readily apparent that there is a variety of installation types being used in the community. 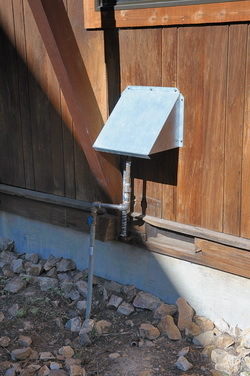 The prevalent installation type used is an above-ground tank, either at ground level or elevated. 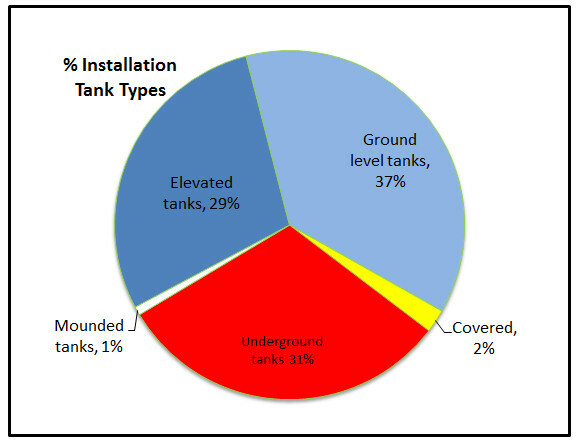 While undergrounding or mounding of tanks has increased in recent years, the number of underground tanks is still only a third of the existing installations. A very small number of cabin owners have built a cover for their tanks, although there is no standard cover structure that has been approved for the area. A serious concern for tank installations is the accessibility of the tanks in deep snow. Accessibility is determined by how far the tank is from an access point during the winter an thus how much deep snow must be dug out. 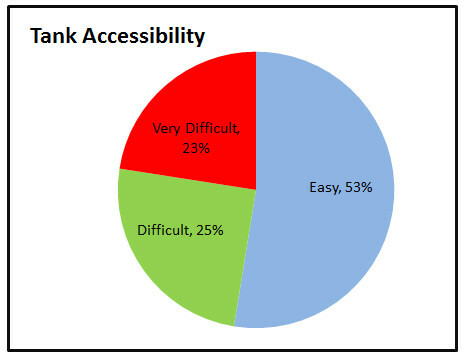 Figure 5 shows the distribution of tanks by their accessibility. Categories of accessibility are; easy, tanks located 10 ft or less from an access point; difficult, tanks located 10-20 ft from an access point; very difficult, tanks more than 20 ft from an access point. Realistically, only easily accessible tanks can be dug out by cabin owners on their own. The difficult tanks will require heavy equipment to dig them out in heavy snowfall. While a slight majority of the tanks are easily accessible, there are many tanks that are hard to get to and a significant number that are effectively lost during a big winter. The mandate that cabin owners should dig out their tanks may be plausible for many easily accessible tanks, but it is realistically impossible for many tank installations. It seems pretty disingenuous of the fire officials to mandate digging out all tanks when they were the ones that approved the locations of every tank in Serene Lakes, including the very difficult tanks. Currently there are six propane companies that supply propane to the summit. It is the propane companies that install and maintain the propane systems under the supervision of the fire department. As part of the survey for the directory, vendor information was gathered either from the installations directly or through online questionnaires directly to cabin owners. Vendor information for 303 (59%) of the cabins in Serene Lakes was gathered. The vendor information is shown in Figures 6 & 7. While the data is incomplete, it does show the trends for use of vendors by cabins in the area. It is clear from the data that Truckee-Tahoe Propane (TTP) is used by the majority of cabins (54%) in Serene Lakes with JS West, Amerigas and Suburban supplying the remaining cabins and Campora and Ferrell supplying a few cabins. During the summer Truckee Fire met with the vendors and mandated that they bring their systems up to code. This was not a trivial request because for all intents and purposes, all of the above ground tank installations were not up to code. This was because they were using schedule 40 pipe for at least the sweeper pipe coming out of the ground. 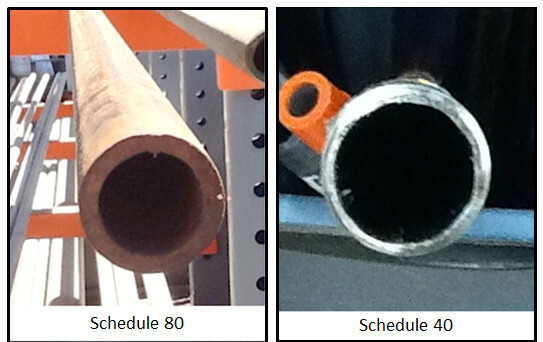 Placer County code clearly specifies that the thicker and stronger schedule 80 pipe be used for the Serene Lakes area. While this code had been in place for at least 20 years, tanks were installed by vendors using schedule 40 pipe and approved by the fire department during this time. As a result almost every above ground tank in Serene Lakes needed to be upgraded. This was up to the vendors and the execution of these upgrades was very unevenly implemented between all the vendors. Some vendors replaced all of the plumbing with schedule 80 pipe while others have either done nothing or just a portion of their installations. In the case of TTP, the largest vendor, they have installed flexible riser hose to replace the rigid pipe in many of their installations. 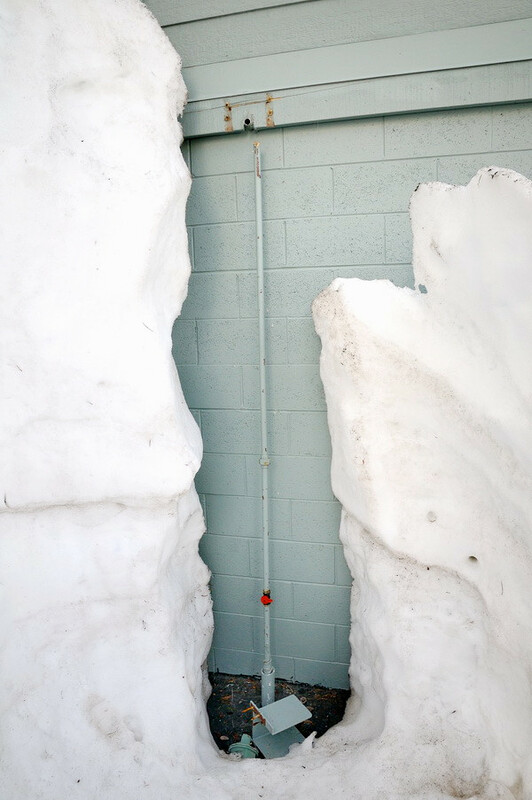 This “flex-line” is used in many high elevation areas because it prevents the breakage of rigid pipe due to tank movement from snow. In fact, Nevada County approves the use of this line for their portion of the summit. At the writing of this article however, Truckee Fire has not approved this flex-line because Placer County code specifies schedule 80 rigid pipe. As we start a new winter on the summit, the current situation is that a portion of the above ground tanks have been upgraded to schedule 80, a portion have not been upgraded at all and a portion have been upgraded to flex-lines that are advertised as being a better solution, but is not approved by Truckee Fire, the responsible regulatory agency. As in the past, remediation is a mixed bag of fixes with a considerable number of installations remaining unimproved and still not up to current safety codes. In recent years many cabin owner have moved their tanks underground. The advantage of an underground tank is that there is no exposed plumbing to worry about. Putting a tank underground does require a specially coated tank to prevent corrosion and the use of sacrificial anodes similar to a hot water heater that prevent electrolysis between the metal of the tank and the ground. For this reason, unlike above-ground tanks, underground tanks require a yearly inspection of the anodes. Putting a tank underground is costing about $2-3000 these days and during this summer about 20-30 cabin owners converted their tanks. While the Fire Department recommends that the access hatches to underground tanks be dug out, many underground tanks fall into the difficult and very difficult accessibility categories and many are effectively buried during the winter. With the current protective turrets on the tanks, they are pretty well shielded from snow damage and certainly are much safer than above-ground tanks that are buried buried during the winter. As explained in Part I of this article, the propane supply line coming from the tank connects to a second stage regulator where it enters a cabin. This regulator reduces the gas pressure to approximately .4 psi for use by interior gas appliances such as stoves and furnaces and also acts as a backup in case the first stage regulator malfunctions. In many ways the secondary regulator can be the most vulnerable and dangerous part of the system. Because it is very close to the cabin, a leak in the plumbing at this stage has the potential for leakage of gas into the structure where it can pool and be exposed to ignition sources within the home with possible catastrophic consequences. It is also possible for the regulator mechanisms to be damaged by ice so that over-pressurized gas is fed into the home which can cause leakage at appliances within the home. Placer County code requires that the secondary regulator be covered to shield it from the force of the snow. In the course of mapping the secondary regulator positions for the propane directory, it became apparent that while the large majority of cabins do protect the regulators, there are a significant number of cabins that have inadequate or no protection for these regulators. Figure 8 shows an exposed regulator that was broken off last winter at a cabin by high snow and ice moving along the exterior of the cabin. This caused a significant leak in the community. These regulators are currently rated for 15 years of usable life and should then be replaced by the vendor (many vendors replace them every 10 years). Clearly many of the regulators observed in the survey looked older than 15 years . While there has been a lot of attention paid to tank installation and maintenance, there seems to be much less attention paid to the secondary regulators, which may in fact be a much bigger problem. There appears to be no standard for where the regulator should be placed on the home and in many cases it is placed so that it would be almost impossible to get to the regulator and shut off valve in a heavy snowfall condition. Secondary regulator safety is definitely a problem at many cabins and it needs to be addressed. While systems at the majority of cabins are probably safe, there are many installations that are still not totally up to code and are potentially problematic. Homeowners, vendors and regulators have been lax in inspecting and maintaining their systems with the result that many systems are not as safe as they should be. Regulatory agencies and vendors do not have consistent standards and procedures in place to bring systems up to code and maintain the safety of the systems. New installations also are subject to what seem to be a very subjective approval process. In Part III of this article I will discuss some possible suggestions and solutions that could make propane use on the summit safer.